The disorder in your machine is those feelings in your mind that come and go and which you have no control over. And to repair it, you search for mechanics in temples, mosques and churches. But, why don’t you understand that you are not an object, to repair which mechanics would be available in the market. 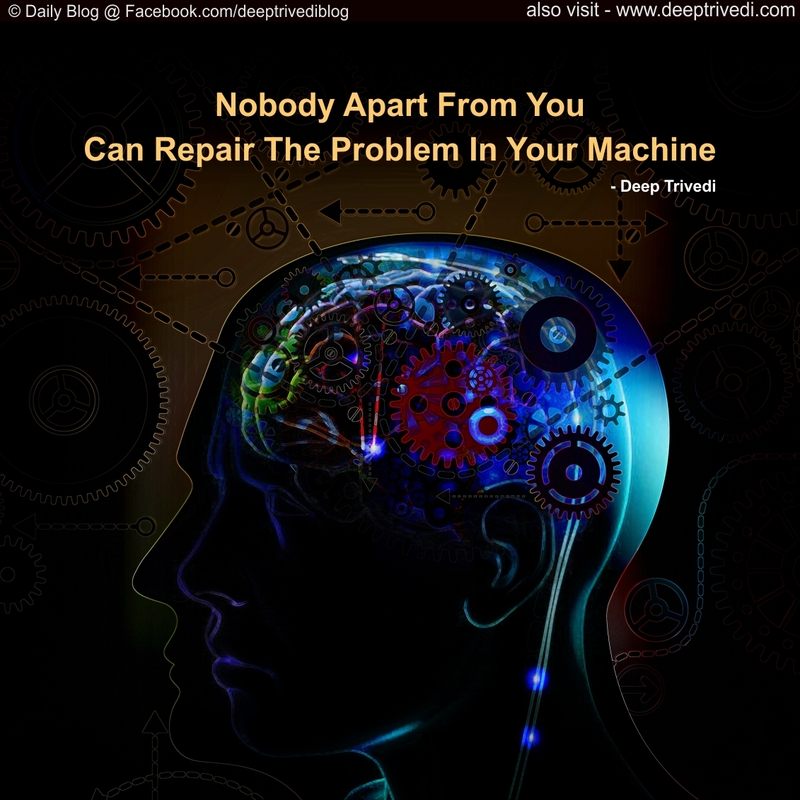 Your mind is that machine made by Nature which only you can spoil and only you can repair. Indeed, you do have to get the inspiration for these solutions from the outside, and these have already been given to you by scores of experts like Buddha, Christ, and Krishna. And the best part is that these are available to everyone for free. Just understand these solutions and become your own mechanic. What’s the need to run others’ garages for this purpose? They are astute, you go to them complaining of dirt in the carburettor, but by showing numerous other problems they keep your vehicle itself in the garage. So beware and become your own mechanic… then boldly drive the car on the freeway, who’s stopping you? At the level of mind, self-confidence and capability are two sides of the same coin. If you have confidence in your mind, the capability is bound to reflect evidently.